Blackwing Descent is a 10 and 25 man raid instance introduced into the game at the release of World of Warcraft: Cataclysm. The instance is located in the upper part of Blackrock Mountain and is only accessible by flying mount. Together with Bastion of Twilight and Throne of the Four Winds, it is part of the first raiding tier of the expansion. 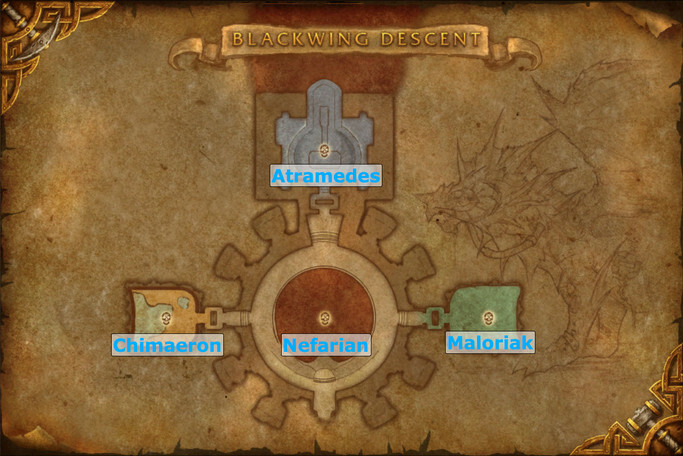 Blackwing Descent houses a total of 6 bosses, available on both normal and heroic difficulty. The instance layout is quite simple to follow and there are very few trash packs, though some of them do present difficulty to unprepared raids. 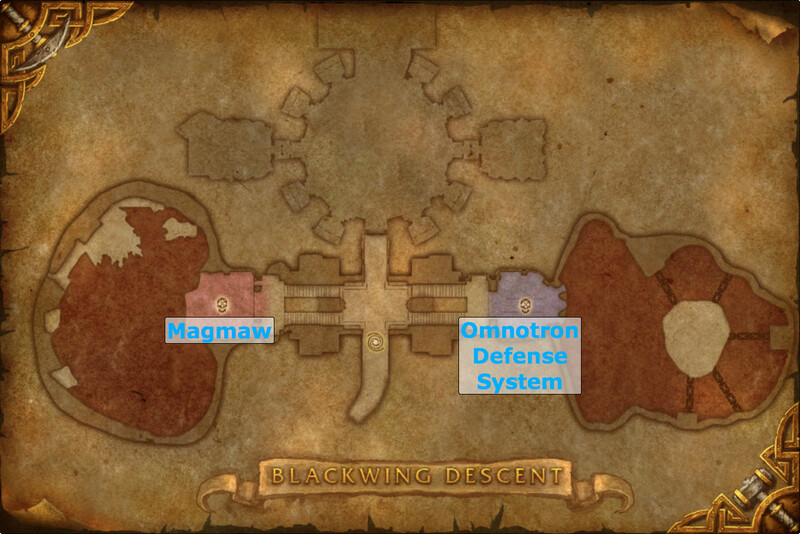 The only bosses available to raids starting out are Magmaw and the Omnotron Defense System, located on either side of The Broken Hall. Magmaw is largely a healer check, while the Omnotron Defense System is an awareness check. Once these two bosses are defeated, the raid gains access to the rest of the raid, namely the Vault of the Shadowflame. Once inside the Vault of the Shadowflame, your raid will be able to choose between three bosses: Maloriak, Chimaeron and Atramedes. Maloriak is an encounter which requires precise interrupting and add handling, Chimaeron requires good tank and healer coordination while Atramedes requires good movement and situational awareness from your whole raid. These bosses can be attempted in any order. Once all 5 bosses are defeated, your raid will be able to finally engage Nefarian, the final boss of the raid.